← Tiara Time! New Tiara Alert! Two hundred and twenty-two years and roughly two hours ago, Marie Antoinette ascended the stairs to the guillotine in the newly-renamed Place de la Révolution, accidentally stepped on the executioner’s foot and begged his forgiveness. We’ve discussed October 16, 1793 quite a few times over the tenure of this–whatever we’re claiming this desultory deluge is today. Whatever this is, half of the title is dedicated to the youngest child of the formidable Empress Maria Theresa. How to commemorate an unjust execution each year? We’ve hashed out all the details. How the workers who left both body and head tossed on the grass next to the mass grave so they could have a long lunch, giving Madame Tussaud time to capture the tragic queen’s death mask in wax–and then reproduce her likeness all over the world. We’ve gone over the sham trial and her last letters written to her family. Your Blog Hostess has even told the tale of the fresh, snow white dress Marie Antoinette produced from a crack in her cell wall at le Concierge just before she was escorted to her death. One last new outfit. Who else could pull that off? [Yeah, not us.] More than anything, your Blog Hostess has commemorated Marie Antoine of Hapsburg-Lorraine by citing trivial factoids that We very well may have fabricated for our own amusement. Alas, fabricate we did not. The last Queen of France in fact did eat authentic Indian curry–albeit not much before the spices overwhelmed her. how many of you have been immortalized as both the salt and pepper shakers? Marie Antoinette lives on as a huge pop culture icon today mainly because she has always fascinated. Her colorful clothing was the inspiration for those chatoyant Ladurée macarons. Her shoes were auctioned off for a small fortune. ‘Toinette was the inspiration of at least two operas We can recall offhand. The Ghosts of Versailles, a Gran Opera Buffa that was commissioned to celebrate the Metropolitan Opera’s centennial. It opened about 10 years behind schedule and is one of the most costly productions. As a result the opera has only been performed in its entirety twice, at the Met and this past winter at the Los Angeles Opera. [Sooo worth it. Best birthday ever…] Antoinette and Fersen is a Swedish Folk opera We fully intend to download once We find an English translation to the libretto or attain fluency in Swedish…yeesh. Don’t hold your breath. Memories both fond and legendary are often sparked from the tiniest of details. It’s pretty sweet to know we can all live forever. Should We end with a cheesy note? What the hell? Maybe you’ll remember it. 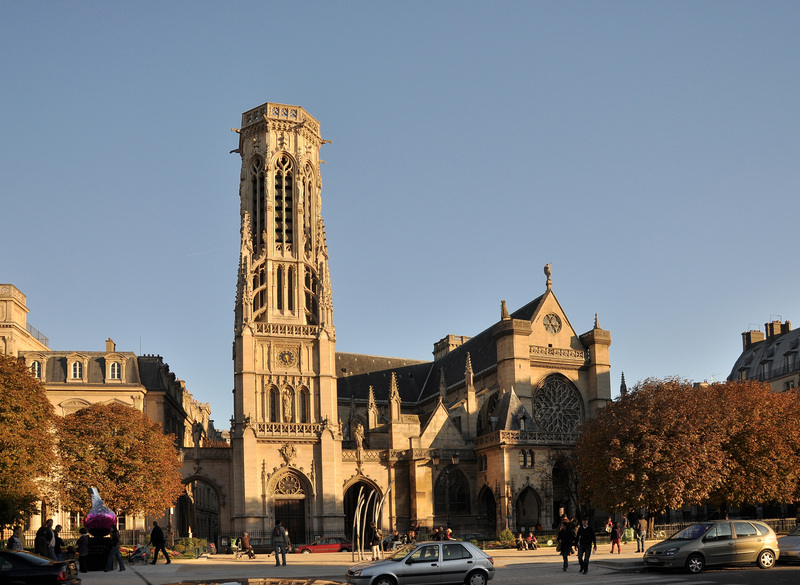 This entry was posted in france, marie antoinette and tagged death, Eglise Saint Germain l'Auxerrois, marie Antoinette. Bookmark the permalink. Good to see a new post! Missed you the last month or so. Glad you are back!! I like your spin on history it is very interesting. Susan, thank you for the “welcome back,” the comment and the compliment! It does feel good to be back. Thank you! truly, how many of us can boast salt and pepper homages? so few!